ADP, a leading global provider of Human Capital Management (HCM) solutions, has become the fourth new tenant at Templeback, Bristol in the past six months. This follows lettings to Mott MacDonald, Momentum Financial and Colliers CRE at the building which is asset managed by London-based Cube Real Estate on behalf of its owner, Benson Elliot. Templeback is being jointly marketed by DTZ and Alder King. ADP will expand its Bristol business into Templeback and will develop its Research & Development arm within the building. The company is taking 8,000 sq ft on the part first floor of the building on a five year lease. There is now just 41,000 sq ft left at the building, with 32,000 sq ft having been let in the past few months. 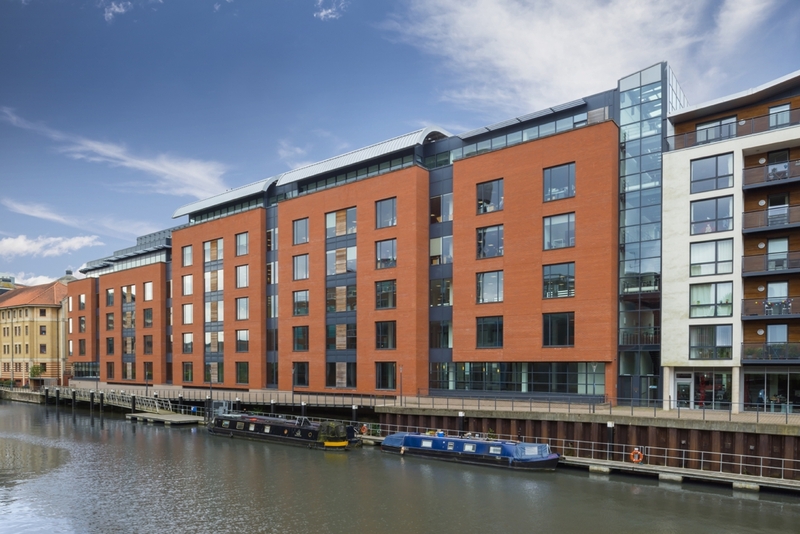 Phil White, head of EMEA Property at ADP commented: “Templeback gave us the flexibility to expand our Bristol operation into an attractive, contemporary building. The new facilities will allow us to further grow the business and attract the highest calibre of staff in the area”. Jonathan Lawes, asset manager at Cube, continued: “By listening to the occupiers requirements and providing the flexibility of space they require, we have been able to continue our great run of success. We have introduced a concierge facility and will be undertaking further works to the common parts of the building shortly, further enhancing the appeal of Templeback to the growing level of demand in the market. Templeback is a 123,000 sq ft building and one of Bristol’s most prominent Grade A office developments. The waterfront building is one of the city’s greenest buildings and is available to new tenants on tailor-made attractive terms. It is the only grade A building that can provide in excess of 20,000 sq ft on a single floor. NFU Mutual currently occupies two floors but substantial high quality space remains across three floors.